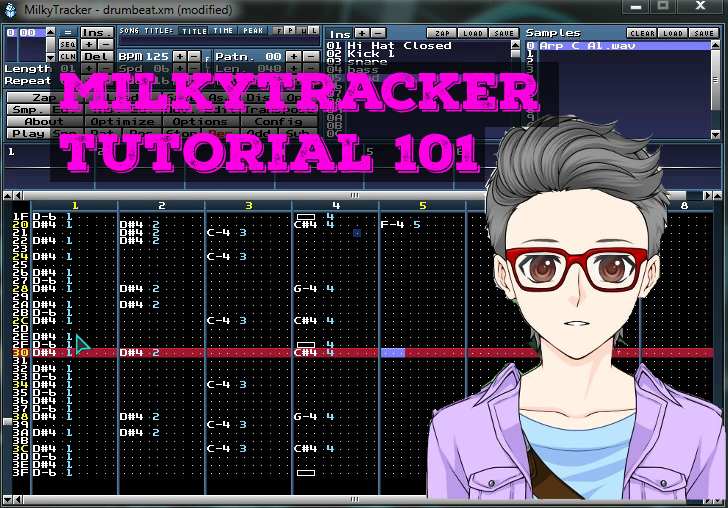 This is a basic getting started tutorial for the music tracker program Milkytracker. Covered in this tutorial are setting up the screen resolution, loading samples and setting up instruments, creating a basic drum beat, creating a pattern with drums, bass and lead parts, auditioning samples, and setting instrument volume. This entry was posted in Bedroom Producer, Chiptunes, Demos, Electronic Music, Tutorials, Video and tagged chiptune milkytracker tutorial, milkytracker 8-bit tutorial, milkytracker tutorial, milkytracker tutorial beginner, milkytracker tutorial ita, milkytracker tutorial make up, milkytracker tutorial pdf, milkytracker tutorialspoint on February 14, 2015 by DemonicSweaters.